Product prices and availability are accurate as of 2019-04-19 05:17:58 UTC and are subject to change. Any price and availability information displayed on http://www.amazon.com/ at the time of purchase will apply to the purchase of this product. "Eileen Gambrill is unparalleled in her ability to describe common flaws and biases in clinical decision making. The result in this revised edition is a steadfast call for change that also acknowledges the demands of practice. A must-read for clinicians and researchers alike." 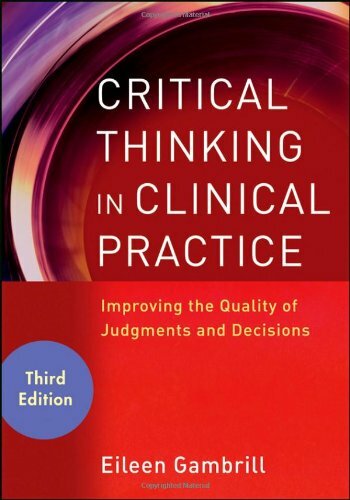 "This Third Edition builds upon the impressive strengths of Gambrill's prior treatments of the topic to support the notion that critical thinking is a teachable skill and one essential for contemporary practice in the human services. This book should be the default authority on the topic of critical thinking for human service professionals and would be an excellent textbook." 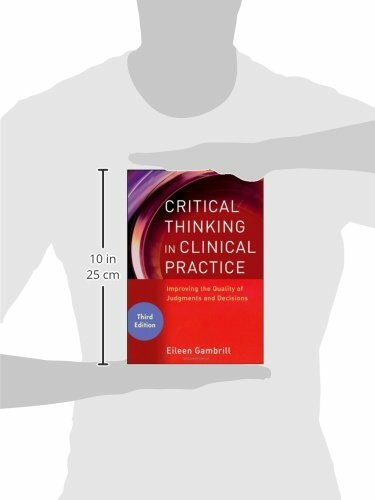 "I was skeptical about how Critical Thinking in Clinical Practice could be improved, but Eileen Gambrill has succeeded! Her articulation of critical thinking skills for clinical decisions ultimately will benefit the people we serve." 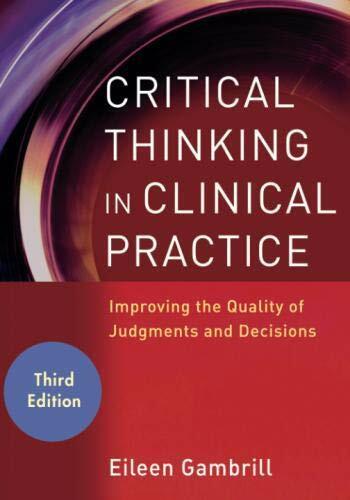 Now in a third edition, Critical Thinking in Clinical Practice is written for helping professionals who want to think more clearly about the decisions they make and the context in which they make them. It is a practical volume for clinicians who would like to expand their knowledge of common pitfalls and fallacies in clinical reasoning. As in earlier editions, this Third Edition draws on research related to problem solving and decision making, illustrating the relevance of research findings to everyday clinical practice and policy. 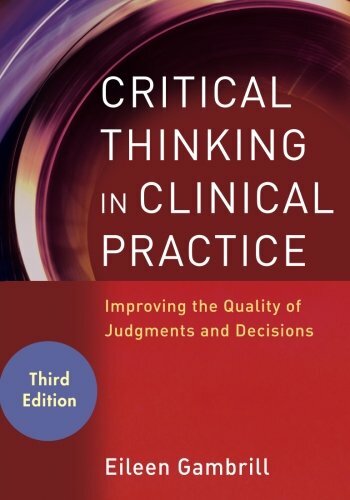 Designed to enhance the quality of services offered to clients, Critical Thinking in Clinical Practice, Third Edition is filled with insightful examples, useful lists, websites, and guidelines, presenting an essential resource for all helping professionals and students in the helping professions.